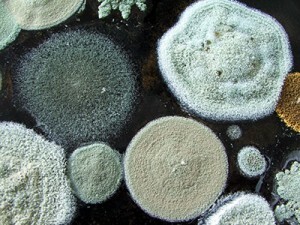 mould | Odd Job Handyman Services, Inc.
One of the homeowner’s most familiar foes is the pervasive fungus that we call mould. This menace has been with us for millions of years. It rears its ugly head wherever there is an excess of moisture, utilizing everyday problems such as flooding, leaks, condensation and humidity as its gateways to attack you. Fighting mould is vital to maintaining the quality of life in your home. It isn’t just ugly, it’s dangerous. Humans and animals can be affected to varying degrees depending on their sensitivity to it. And according to the Mold & Bacteriological Laboratory in Mississauga, around 20% of the human population is allergic to at least one variety of mould. Indeed, the Institute of Medicine – the health arm of the U.S. National Academy of Sciences – released a report entitled Damp Indoor Spaces and Health on May 25, 2004. Its conclusions emphasize the dangers the fungus poses to your quality of life. In the brief, the NAS links mould to “asthma symptoms in some people with the chronic disorder, as well as to coughing, wheezing, and upper respiratory tract symptoms in otherwise healthy people.” To humans and animals with weak immune systems, certain types of the fungus can cause an infection. Odd Job uses two products that are highly effective at fighting mould. Despite the fact that they are sold at some of Canada’s largest retailers, they are surprisingly little-known. In the interest of protecting you and yours, the team at Odd Job would like to share these with you. 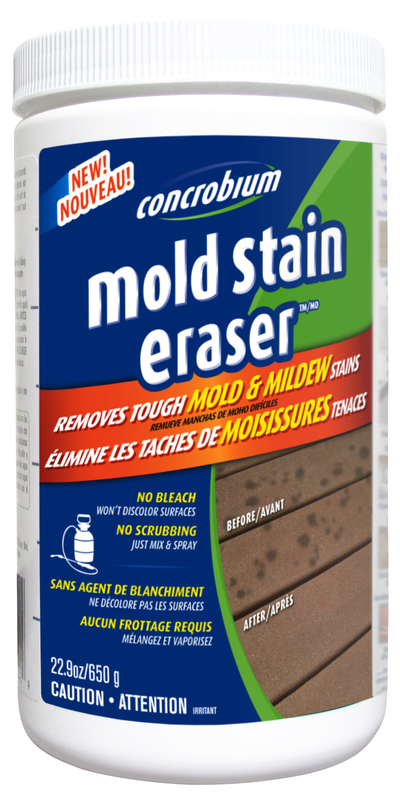 Mold Control and Mold Stain Eraser, produced and distributed by Concrobium, are among the most effective countermeasures available. For those fighting mould and mildew in their own homes, you can’t do much better than these babies. The first is an aerosol that not only destroys the spores when it is applied, but creates an anti-microbial barrier that helps prevent it from reappearing in that area. The second is an oxygen-based powder that is mixed with water before being applied to tough mold and mildew stains. Unlike bleach, the highly problematic countermeasure employed by many homeowners, these products contain no harmful chemicals. Odd Job will cut to the root of the problem, investigating and repairing the leaks in your pipes, walls, windows and elsewhere so that your home and its occupants will be safe from this revolting infestation. Take a minute or two to fill out our online “book-a-handyman” form and our team of professionals will be on their way to make your mould move out!